The GVF Secretariat consists of David Hartshorn, the Secretary General; Martin Jarrold, the Chief of International Programme Development; and Angie Mar, the Director of International Programmes. Mr. Meltzer brings over twenty five years of experience in the satellite industry, including serving as a board member for both a regional satellite operator and for a mobile satellite operator. Previously, he served for 16 years in various business and legal roles at Intelsat, culminating in serving as Intelsat’s General Counsel and Executive Vice President for Regulatory Affairs. Most recently, Mr. Meltzer served as the General Counsel and Chief International Officer of the American Red Cross where he led its legal, international disaster relief and development activities. Martin Jarrold has worked for GVF for more than 10 years, having been appointed GVF Chief of International Programme Development in June 2001. His particular responsibilities include outreach to the member organisations of the GVF and for the further development of the profile of the Forum within the satellite communications industry, and across the global telecommunications policy and regulatory community. This extends to the development and delivery of programmes focused on extending the understanding of, and promoting the use of, satellite-based communications in various key end-user vertical markets. Mr. Jarrold is Chairman of the GVF Oil & Gas Communications Conference Series, and of the GVF Broadband Maritime Conference Series, which combined have produced 17 conferences in Europe, the Middle East, South East Asia, and South America (as of 1st July 2011). The Oil & Gas Communications Series is expanding into the Angola market in 2012. Mr. Jarrold is also Co-Chairman of the GVF Maritime Satcom Forum. Mr. Jarrold is a frequent contributor to various telecommunications and other industry publications. In addition he regularly chairs and contributes to a wide variety of telecommunications conferences, symposia, and workshops around the world. 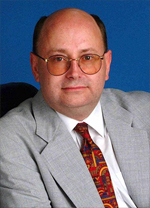 Previously, Mr. Jarrold was Commissioning Editor and Head of Research for Space Business International magazine. His earlier career was predominantly in teaching and writing. He holds an honours degree in History and Politics. Arunas Slekys is responsible for managing all of Hughes marketing communications and advocacy initiatives worldwide. He holds a B.App.Sc. degree in electrical engineering from the University of Toronto, a M.Sc. from the University of Illinois, and a PhD in computer and communications engineering from UCLA. He is the co-author of a founding patent for wireless data systems (CDPD), and is a frequently published author on satellite and wireless communications. 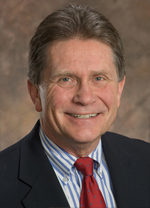 Dr. Slekys has served as the elected Chairman of the GVF Board since 2006. With more than 20 years of experience in the satellite sector, Ms. Eskenazi brings a unique regulatory and policy perspective to GVF. In this role she leads development and execution of regulatory and policy strategy for the Americas, Europe, Russia and Turkey. She also manages global export control, sanctions compliance and antitrust matters. Nancy is closely involved in regulatory, policy and spectrum matters on national, international and at the ITU levels. Ms. Eskenazi holds an LLM in International & Comparative Law from Georgetown University and a Juris Doctor and MS in Television, Radio & Film from Syracuse University. She received a Bachelor of Arts degree from the University of Massachusetts at Amherst. Yasir Hassan has almost 20 years of experience in the Telecommunication field starting with King Fahad City for Satellite Communication in Saudi Arabia. He joined ARABSAT in July 1998, reaching the position of Engineering Services Head in 2008, and was selected to be the Director of Transmission operation in 2010. Mr. Hassan holds a Bachelor of Science with honour degree in Electrical & Electronic Engineering from Eastern Mediterranean University, Northern Cyprus, and obtained his MBA from University of Leicester, UK in 2005. He also serves as a Director on the Satellite Interference Reduction Group. Simon Gray is also a member of the ITU Advisory board for developing disaster comms strategy world-wide. He has been elected by the other 8 satellite fleet operators to coordinate the Satellite charter with the UN for the satellite industry. Mr. Gray has worked in the satellite industry for over 20 years and while at Eutelsat has been responsible for the largest training program ever undertaken by a satellite operator. His role in Eutelsat has also encompassed developing a new class of satellite terminal, equipment approval, mobile Apps, training courses & training tools. His team has also been responsible for overseeing over 350,000 terminal installations across 4 continents and he is the point of reference for the Eutelsat fleet for remote terminal technology. Paul Deedman’s role in Inmarsat is to ensure that the necessary international spectrum regulations are in place for the continuing operation of the current Inmarsat satellites, network, and future systems. He is involved in CEPT spectrum activities and the ITU-R working parties, most recently on issues such as new regulations for Ka-band mobile terminals (ESIMs) and protection of the L-band MSS spectrum for proposed terrestrial LTE systems. He has participated in all of the ITU World Radiocommunication Conferences since 1997, and has been closely engaged in the regional preparations for WRC. Mr. Deedman joined Inmarsat in 2000, having previously worked for the Radiocommunications Agency, and has an honours degree in Telecommunications from the University of London (Queen Mary College). Mr. Dowsett is responsible for developing and managing Intelsat’s IntelsatONE Enterprise Solutions portfolio of managed solutions. Since the launch of the IntelsatOne portfolio in 2002, he has overseen its significant growth of enterprise customers and traffic. Mr. Dowsett has been employed in the global telecommunications industry for over 30 years. Prior to joining Intelsat in 2002, he worked for 6 years at Concert Communications Inc., a British Telecommunications and AT&T joint venture company. Employed as a Senior Manager, his responsibilities included managing all commercial aspects of a global circuit-switched voice product and the development & launch of a global IP-based enterprise voice product offering. Keith Johnson has 30 years and of experience in the Satellite Telecommunication and Energy industries. In his role at SpeedCast, he oversees all of SpeedCast’s business activities for the Energy and Oil & Gas sector, including strategic planning, programme management, business development and global sales. He is a member of the Executive Staff, and participates directly in supporting the various strategic acquisitions over the last few years. Mr. Johnson is an author of many published papers on telecommunications, satellite, wireless and IT. He attended Texas A&M University, and graduated from Houston Baptist University with a double major in Marketing and Management.